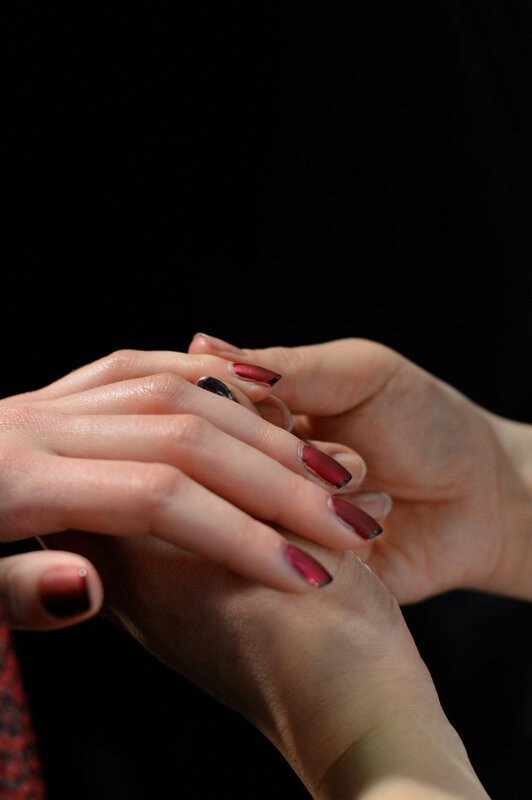 #Backstage at Wes Gordon, these hands were begging for attention. First a layer of essie’s metallic Penny Talk followed by a layer of dark Bordeaux (or this shade), topped with Matte About You and finished with a Wicked tip. The result - this opulent looking nail. Or a vampy Valentines Day look?